The Magical Powers of the Holy Death, published in English by Jaguar Books’ Cali Casa imprint, and available in Spanish from Ediciones S.M., has what at first glance seems to be a very odd addition – an invocation to Don Diego Elf. 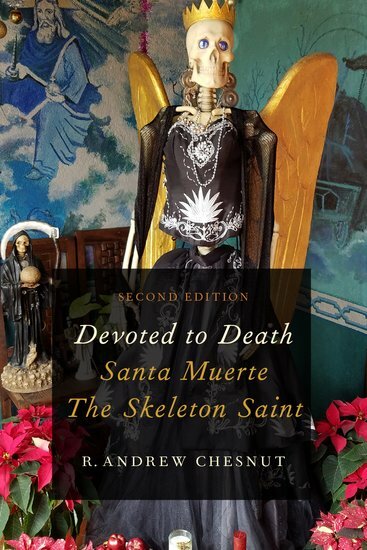 Mentioning an ‘elf’ in regard to Santa Muerte’s magical powers may appear out of place when so much of the news surrounding her presence relates to urban issues of criminality and drug trafficking. Yet this invocation speaks to her lingering lineage as a powerful figure associated with curanderismo, brujeria and other traditions of practical faith. To read more about St. Death’s role as a power spirit of magical initiation CLICK HERE to head over to ERIS Magazine for St. Death & the Elves – Curious clues to the origins, associations & correspondences of la Nina Blanca!